The Agency raises funds for the construction of Bowen Flats, a 100 percent affordable apartment building coming to Ward 8. Washington, D.C. – December 23, 2015 – (RealEstateRama) — The District of Columbia Housing Finance Agency is closing out 2015 by funding another development in Southeast, Washington, D.C. The Agency finalized the issuance of $3.4 million in long term and $3.2 million in short term DCHFA tax exempt bonds for the construction of Bowen Flats. The Neighborhood Development Company is the principal developer of Bowen Flats, which will consist of 41 units of housing in a three story, newly constructed apartment building at 2620 Bowen Road, Southeast. The building will consist of one, two and three bedroom units. Twenty parking spaces will be provided to residents at no cost. The project is located less than a mile from the Anacostia Metro station and near the Barry Farm neighborhood. Barry Farm is being redeveloped as part of the Office of the Deputy Mayor for Planning and Economic Development’s New Communities Initiative. 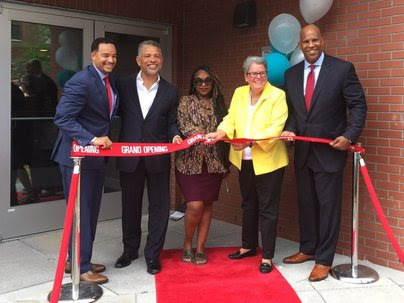 The initiative was designed to revitalize severely distressed subsidized housing and redevelop neighborhoods into vibrant mixed-income communities. Through its Public Finance division, DCHFA issues tax-exempt housing mortgage revenue bonds to lower the developers’ costs of acquiring, constructing and rehabilitating rental housing. The Agency offers private for-profit and non-profit developers low cost construction and permanent financing that supports the new construction, acquisition, and rehabilitation of affordable rental housing in the District.